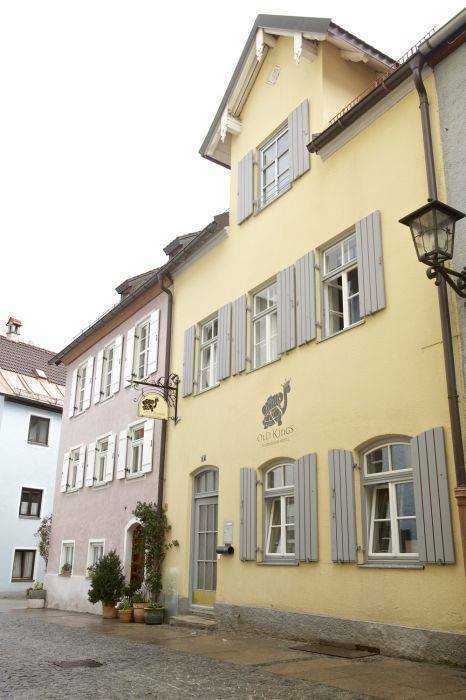 Welcome to the Old Kings Hostel in the beautiful mountain town of Fuessen. Inspired by our King Ludwig II, we are running Fuessen's first design hostel situated in the heart of the historical part of the town, which is just a 5-minute walk from the train station. Fuessen's castle, the famous sights in the old town, bars and restaurants are only a stone's throw away. We have renovated a more than 500-year-old building which now meets the needs of international backpackers. Enjoy our relaxed family atmosphere, meet up with other backpackers, discover the surrounding lakes and mountains and visit King Ludwig's famous castle Neuschwanstein. Our staff will be glad to give you loads of local information about the area. 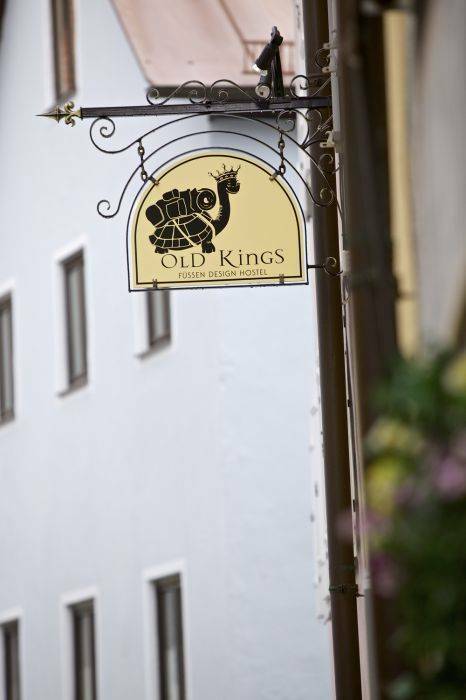 Take a breath of history in our small house and join the friendly community at Old Kings, our exclusive hostel with only 22 beds. Every room is decorated and furnished in a different antique- or retro-fashion majestic style. The classic ambiance is surely going to give you the feeling of being taken back to the good old royal days. Clean, well-kept and fully-equipped facilities are something we are proud to present you. Breakfast is not included. A regional breakfast can be booked additionally. A tourist tax of 2. 20 per person is not included. 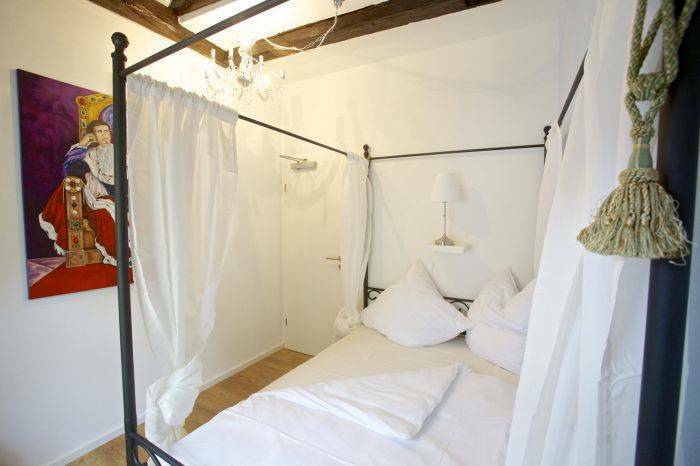 Take a breath of history in our small house and join the Old Kings community in our exclusive hostel with only 22 beds. Every room is decorated and furnished in a different antique- or retro-fashion royal style. The Kings and their empires are the inspiration for our clean and comfortable rooms. The Old Kings Hostel has been newly refurbished and offers clean and comfortable accommodation, providing a relaxed and friendly atmosphere. The hostel is situated in the heart of the historical Old Town of Fuessen, only a five-minute walk from the train station. 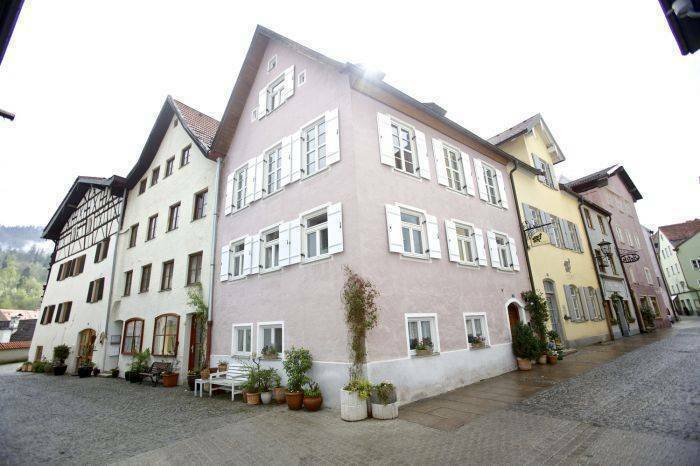 Our house is at Franziskanergasse which is around the corner of the old castle city hall. 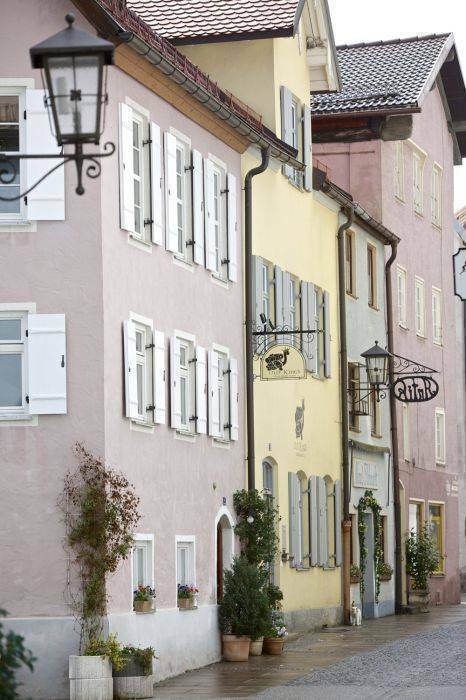 You can fall out the door to the old town and discover small cafes and shops in the ancient city of Fuessen. The romantic fascination of Füssen: Here the contrasting facets meet – the magic of the monarchy and authentic folklore, wild mountains, and gentle hills, a rich culture, and imposing natural surroundings. Discover this place for yourself – one of Bavaria‘s finest and most beautiful spots. Füssen awaits you. We can only accept cash due to our small hostel size. But round the corner there are ATM machines if you do need to use a credit card for example. Our house is at Franziskanergasse. When you come from the train station and walk down the pedestrian area (Reichenstrasse) you will head to the old castle city hall. Right before take a turn to the left into the Hutergasse which will lead right into the Franziskanergasse (at the beginning there's a small tobacco shop at the corner). The second house on the right painted in yellow is our Old Kings Hostel. We will be happy to welcome you. If you have problems in finding us, just give us a ring and we will help you!